Distracted driver accidents account for nearly 23 percent of all crashes. According to the Centers for Disease Control and Prevention, nine people are killed each day and over 1,000 are injured due to distracted driving-related motor vehicle accidents. Annually, over 3,000 people are killed and 386,000 are injured, making talking or texting while driving greater roadway hazards than drunk driving. At Heintz & Becker, we believe there is no excuse for jeopardizing the life and well-being of another person by driving while talking or texting on a cellular phone. These accidents, which can result in serious injury or even death, are some of the most easily preventable. Our top-rated car accident attorneys aggressively pursue claims against distracted drivers for victims in Bradenton, Sarasota and the surrounding parts of Florida. If you need help and you would like to schedule an appointment with one of our board-certified civil trial lawyers to discuss your case, e-mail or call us 941-748-2916. The details of how your accident happened are important for your case. If you have been seriously injured, your first priority after an accident should be getting medical attention. We understand that a motor vehicle accident is upsetting, but whenever possible, it is always a good idea to take photos of the accident scene to preserve a record for your case. The strength of retaining our firm is our experience and our resources. We will utilize a team of investigators and accident reconstructionists to uncover what happened in the moments leading up to your accident. We will obtain copies of the negligent driver’s cellphone records. If those records reveal that a cellphone was used at the time of the accident, we will use that detail to strengthen our case. Our goal is to obtain the maximum possible recovery for your injury. Florida has been slow to take action on the use of cellphones while driving. In July 2013, after years of legislative debate, Florida finally passed a ban on texting while driving. 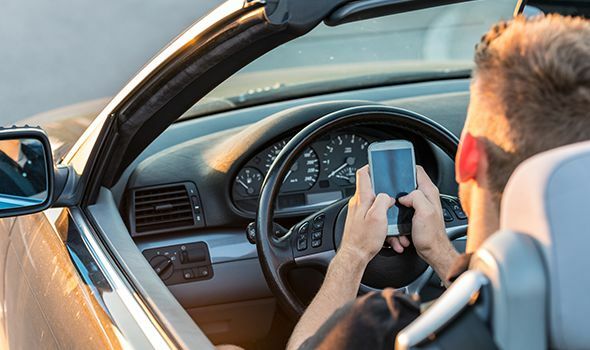 While talking on a cellphone while driving is not currently illegal in Florida, many studies have shown that cognitive impairment from any form of distracted driving can significantly delay response time. This is more than just an act of carelessness. This is someone disregarding the safety of others. These drivers should be held accountable. Our injury lawyers will give you the time, respect and dedication you deserve. We take a limited number of cases so we can make yours a priority. To discuss your case with a car accident attorney in Bradenton or Sarasota, call our law office at 941-748-2916. If you are unable to come to us, we can come to you.